Last week, the Maryland Energy Administration (MEA) participated in a Resiliency Retreat sponsored by the National Governors Association (NGA) and Maryland Emergency Management Agency (MEMA). 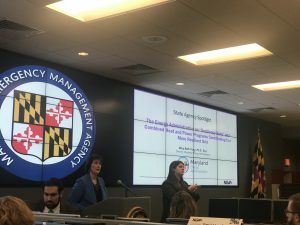 MEA was just one of the many Maryland State agencies to join with colleagues from Federal agencies, and utilities to review the State’s resiliency plans to maintain the energy grid and emergency services in times of need. 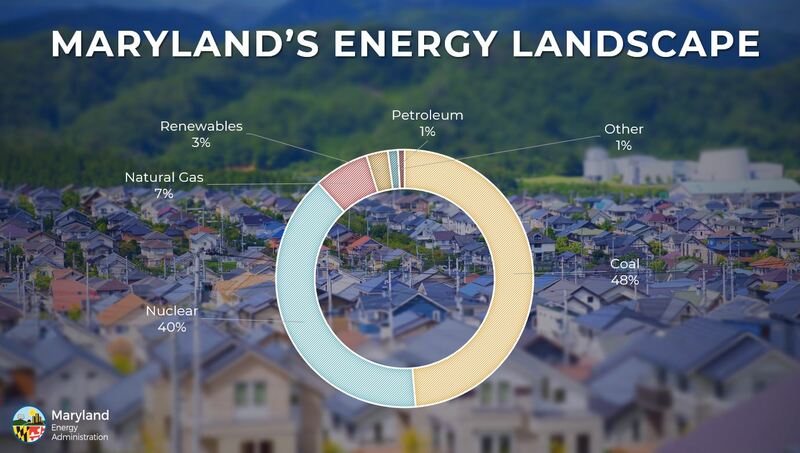 Many residents are surprised when they see where our energy comes from here in Maryland. In fact, our State imports over 40 percent of our Electricity from out of state generators – meaning that Maryland is only producing 60 percent of its electricity needs in State. The one constant for all of our agencies and utility partners is ensuring that the flow of energy runs uninterrupted to residents or is restored quickly. POWER House is the first solar powered, community-based resiliency hub in the U.S. Expanding emergency relief options for residents impacted by a power grid outage is a paramount health and safety issue. The State of Maryland has a dedicated network of agency offices who partner with utility companies and local organizations to address public needs. In addition to assistance from the State Government, Maryland has a collective of private and nonprofit partners working to address resiliency needs for local residents. Projects like POWER House, a Living Classrooms facility and the first solar powered, community-based resiliency hub in the nation is a brilliant example of dynamic public and private partnerships in Maryland. 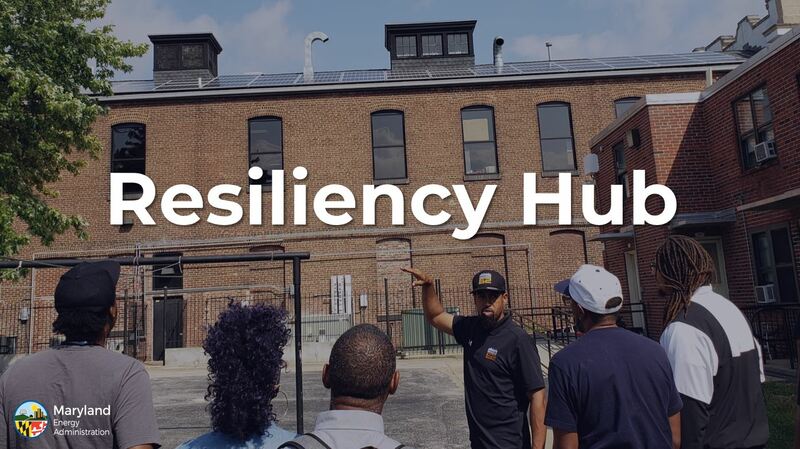 Powerhouse is one of three community resiliency hubs in the city that Power 52 has helped to create with the support of a $250,000 grant from MEA. 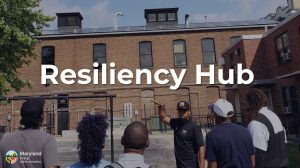 The two other resiliency hubs are located at the UA House is on East Fayette Street and the Patterson Park Youth Sports and Education Center is on Linwood Ave in Baltimore. To read more about POWER House, the community and how their resiliency hub works, click here. Early this year, MEA announced the Resiliency Hub Program, a new initiative serving Maryland’s low-to-moderate income residents that will provide clean, reliable, and affordable energy during power outages. Resiliency hubs are designed to provide safe refuge during an outage with emergency heating and cooling capability; refrigeration of temperature sensitive medications; plug power for charging of cell phone and computer batteries; as well as emergency lighting. These Hubs may also be designated locations (by the city, county, or state) for the distribution of emergency services during extended grid outage. This program is specifically designed to meet the needs of residents who cannot escape a power outage, particularly in low-income communities. While nearly all of our programs at MEA support resiliency, we have another program that truly features the impact of resiliency. Our Combined Heat and Power program harnesses the reliability of buried natural gas distribution to produce electricity on site. The waste heat from the electricity generation is captured to meet the facilities thermal loads either in the form of heating or through an absorption chiller, cooling. Not only is this reliable, it is incredibly efficient. 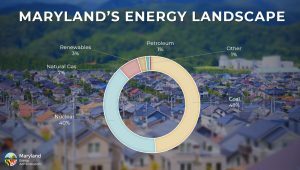 In traditional fossil fuel power plants, two-thirds of the energy used to generate electricity is wasted in the form of heat discharged to the atmosphere as well as through electricity transmission, achieving a combined efficiency of only 33 percent. 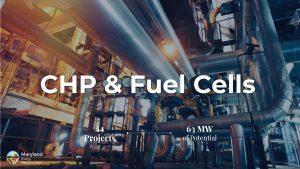 By combining on-site electricity generation and waste heat capture, CHP systems can operate at levels as high as 90 percent efficiency. CHP in Maryland is an incredibly robust and effective program that delivers tremendous value; and serves as a brilliant example of successful public and private partnerships. To date, 44 businesses, nonprofits and local governments in Maryland have received CHP grants. 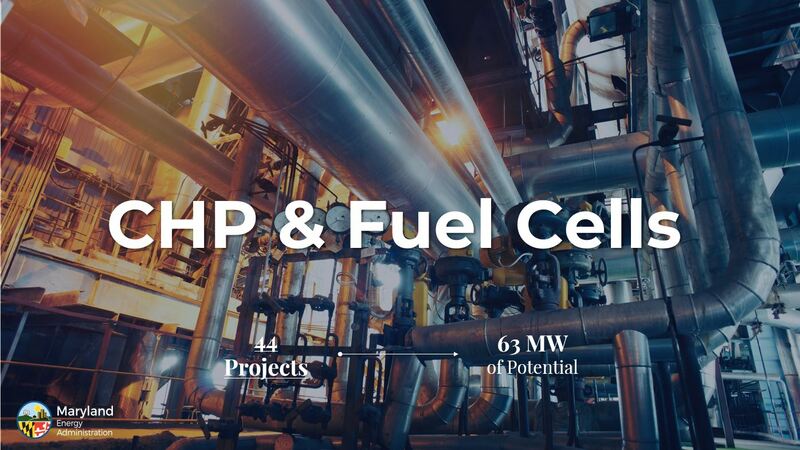 Our local CHP projects represent over 63 megawatts of new, resilient energy generation within the state. In 2017, Peninsula Regional Medical Center received a $494,320 CHP grant from the State and Governor Larry Hogan joined us for the dedication. The new CHP system generates approximately 26 million kilowatt hours and provides the medical center with an estimated annual electric cost savings of $415,086. This particular CHP project is yielding natural gas costs savings of around $324,705/yr. The total investment in this project was $6 million and the hospital was able to take advantage of Delmarva Power grants, as well as fiscal support from corporate partners like the owner/developer Unison Energy, and construction support from Whiting-Turner, Rommel Electric, Joseph M. Zimmer Inc. and Becker Morgan. Altogether, this energy efficiency project will see a payback in just over seven years. For a hospital like PRMC this project allows them to maintain continuity of service in the event of weather emergencies or power grid failures. As an added community benefit, PRMC is now using less grid power so their local utility, Delmarva, can allocate more resources for residents on high-demand days of extreme heat or cold. 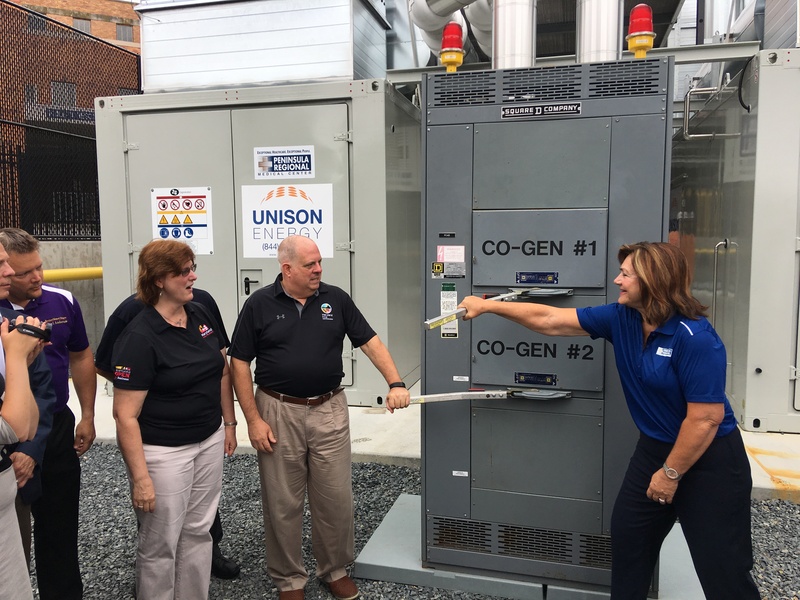 From left, MEA Director Tung, Governor Larry Hogan and PRMC President Peggy Naleppa flipping the CHP switch in August of 2017. PRMC’s CHP system offsets 81 percent of the annual energy consumption and cut its carbon footprint drastically, with an annual CO2 reduction of more than 50 percent, using natural gas supplied by Chesapeake Utilities.We are in no short supply of CHP success stories in Maryland. Just last month, Montgomery County celebrated the opening of their advanced microgrid which incorporates CHP and solar and will improve the resiliency of government operations, reduce greenhouse gas emissions, upgrade existing aging electric infrastructure without capital expenditure and control energy costs. This project was partially funded for nearly $500,000 dollars from State energy grants. CHP has proven so popular that we have just introduced a new MICRO-CHP segment of the grant for systems sized 60 kilowatt or less. We are eager to see who will be the first to take advantage of the MICRO-CHP grant and defray up to 50 percent of the total project cost. We are proud of the work being done via the State’s energy programs. Stay tuned to see what comes up next on the resiliency front. To learn more about all our programs, click here.